I wore this dress in Atlanta and it was perfect for soaking up some sun. I will admit that it's on the shorter side for my liking, but I'll just stay away from heels! The details and beading on this dress are the best parts. I also love how the bottom hem flares out. 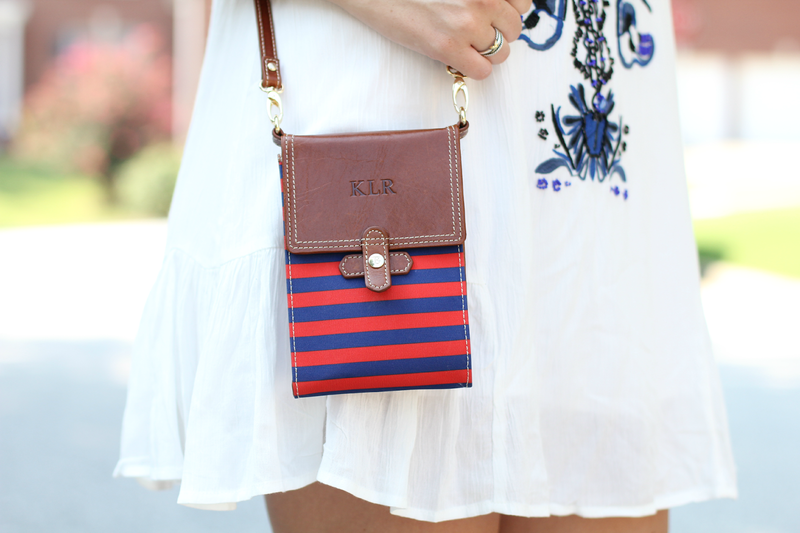 Can we also talk about this new crossbody bag from Barrington Gifts? It's the perfect size (aka approved for the new NFL purse rules) for any game, whether it's college or professional. I wore it to the Braves game and it held everything I needed. Love that little bag! They have the cutest things! i love this dress on you,t he blue and white print is so summery!